Do you want to know how to type the enye (ñ) symbol on your keyboard? We'll teach you how! The enye (ñ), according to Wikipedia, is a letter of the modern Latin alphabet that is formed by placing a tilde on top of the letter N. The enye letter became a part of the Spanish alphabet in the 18th century. As a former Spanish colony, the Philippines adopted the enye and included it in the Filipino alphabet as a separate letter. Although the enye code is commonly used in Filipino publications and correspondence, it’s not included in computer keyboards just like other letters with diacritic marks. To type Ñ or ñ using your computer or laptop, you need to use a special combination on your keyboard. Note: Make sure that your number pad is active. You can activate it by tapping the Num Lock key. 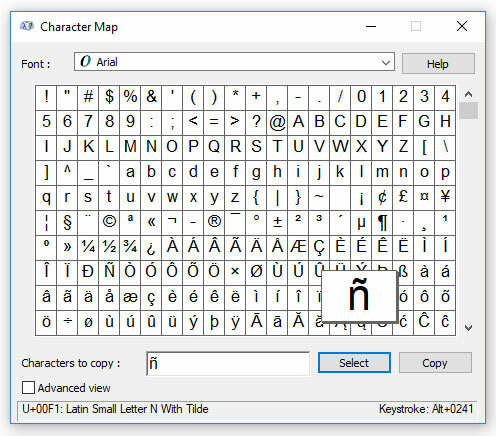 If you don’t want to remember the keyboard combinations above or if your number pad is broken or missing, you can simply insert the Ñ or ñ symbol using Character Map in Windows 10. 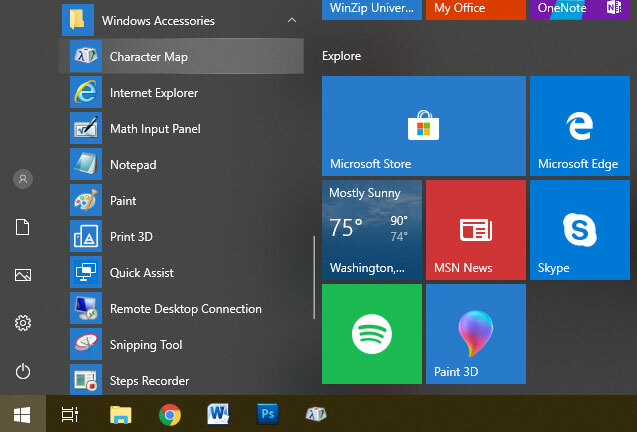 Just click the Windows icon, choose Windows Accessories, then click Character Map. This will launch the Character Map application. Choose the Ñ or ñ symbol as shown in the screenshot below, press Select and then Copy. You can now paste it (Ctrl + V) to your document or file. If everything is too difficult for you, you can always copy (Ctrl + C) the enye code from this page. That’s it! If you know another method for typing the enye letter, please comment below. Migrate your essential windows apps and data into the cloud through hosted citrix xendesktop available at an affordable xendesktop pricing from https://www.apps4rent.com and experience the ease of comfort to access it from anywhere on any device(PC/Mac/android/iOS). Learn more about Office 365 by visiting www.O365CloudExperts.com.